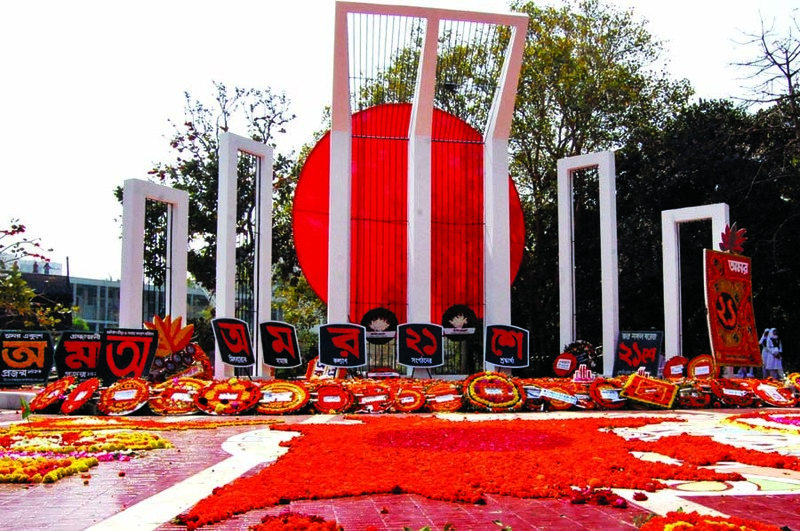 Aspiration for unchained participation in all walks of life is at the core of the spirit of Ekushey February, the Language Day observed on February 21 by the Baangaalees, and now observed as International Mother Language Day throughout the world. Aspiration for unchained participation is the spirit peoples nourish transcending time and ages all around the world as it’s a part of democratic way of life peoples aspire for around the globe. Ekushey’s spirit, thus, is democracy, universal. Martyrs of Ekushey February, the February 21 Baanglaa Language Movement in 1952, and the role the people in East Bengal, now Bangladesh, played in the movement have vitalized the spirit. The movement was a duel between a people chained and a capital bent on imposing its demonic rule on the people in Bangladesh. And, the people emerged victorious. Rulers in pre-1971-Pakistan were trying to keep the Baangaalee people in Poorba Baanglaa, East Bengal, disenfranchised to secure the interests of the capital the rulers represented. The plan to impose another language, Urdu, on the Baanglaa-speaking people in East Bengal was a part of that ill-motive. But the concerned capital was not matured and powerful enough to impose its requirement on the people. The capital had to stumble. Ultimately, it had to make a retreat. The Baangaalee people were different from the foes the capital encountered in the Sindh, Sindhudesh to the Sindh nationalists, and Baluchistan while the capital was also imposing its will on the peoples of those two regions in the western wing of pre-1971-Pakistan. The Baangaalees successfully handled the issue. 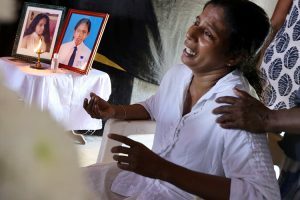 A number of factors and forces – historical, ideological, social, economic, cultural, roles of classes and class alignment, political alienation and alignment, and these, in turn, reshaping mass psyche – brought the Baangaalees’ success. The capital found itself in two opposite positions – it was having upper hand in the Sindh and Baluchistan while it was facing stiff and protracted resistance and losing ground in East Bengal. The equations the capital faced in the three regions – East Bengal, Sindh and Baluchistan – varied, which is inherent in capital’s case. Usually it is told that the Ekushey movement mobilized the Baangaalees as they had the apprehension that they would be losers in areas of education, employment and other economic opportunities if Urdu would have been imposed on them as the language was not vernacular. It was an immediate-possible scene in the areas of opportunity and entitlement. A deeper sense other than the apprehension mentioned above was there among the Baangaaless, however. There was a process of disenfranchising of the Baangaaless the Pakistan rulers were pushing through a number of steps beginning from the very first day of the Pakistan state. A closer look into the measures the state was taking and deliberations in the state’s legislative area bear the witnesses of the process of disenfranchising. The Baangaalees began to perceive: A persistent process of disenfranchisement has been unleashed against them. The Baangaalees attained the right to universal suffrage only after a mass upsurge in 1969, after about a quarter of a century since the Pakistan state was formed by the colonial British rulers, and the Baangaalees were made subservient to the state. Force, speed, spread and participation made the 1969-mass upsurge unprecedented in Pakistan. The upsurge toppled a dictator, nullified a “representative” system undemocratic in essence and compelled a martial law rule to make compromises in a number of areas. The de-languagization plan – imposing an alien language, restricting vernacular language and literature, distortion of vernacular language, characters and literature the Pakistan rulers were pushing through since they were enthroned in the new state – was part of the disenfranchisement design, which is essentially de-democratization/robbing of all traces of democratic sphere. The Baangaalees were resisting those evil designs. Moreover, economic and political struggles were carried out by different parts of the people despite reactionary onslaught on the people. Pro-people political forces took many initiatives to organize working people and members from the middle class and their struggles. The Baangaalees stood for their language, which was an essential requirement for creating a democratic sphere, especially for a people with a very low rate of literacy and a very low level of suffrage, with non-existent democratic political and local government institutions, with extremely low level of public and educational services, with no control over management of public and educational institutions, resources and resource distribution systems as these institutions, systems and resources were fully controlled by the rulers and their orderlies at the local level. Class power determines level/pitch of political voice. Propertied classes are politically more organized, active and articulate in all stratified societies. Pakistan, and East Bengal, part of Pakistan at the period, was no exception. Dominated classes are least heard as the classes are systematically kept excluded from the mechanism of vocalizing and hearing. De-languagization expands and strengthens the reality hostile to people. “Poor literacy […] limits a person’s ability to engage in activities that require […] critical thinking […]”, says the World Literacy Foundation. Such activities, according to the Foundation’s report, include “understanding government policies and voting in elections”, “interact with government agencies”, “calculating the cost and potential return of a financial investment”, “access up-to-date news and information”, “analysing sophisticated media and advertising messages ….” (The Economic & Social Cost of Illiteracy, A snapshot of illiteracy in a global context, August 24, 2015/September 2015) De-languagization doesn’t help these activities, rather, spread of literacy faces obstacles with de-languagization, a part of de-democratization. The Baangaalees’ struggle for their language – Baanglaa – on February 21, 1952, and throughout the years earlier and later – thus was an expression of aspiration for a democratic way of life, for democracy. A democracy ensures people’s participation in all walks of life, in decision making process, in ensuring transparency and accountability; and use of vernacular language in all walks of life facilitates and widens people’s participation in democratic process. Here lies people’s interest. Subduing vernacular language and/or negligence to it indicate(s) “something”. The indication is related to power – economic and political – equation in society, to the state of propertied and dispossessed classes, to the force of capitalism transgressing countries’ borders. But it should not be confused that condition of vernacular language is the only indicator. Ekushey, thus, was people’s struggle, common persons’ struggle; people’s struggle with an aspiration for a democratic way of life. A democratic way of life is a life without muzzled voice and cowed down aspiration, without snatched away dreams and dignity, with equitable and equal opportunity to voice pains, demands, rejections, plans and questions, with equitable and equal opportunity to participate in all walks of life – political, economic, cultural, with no feeling of subdued and subjected, with full transparency and accountability in all aspects of public life. It’s only people that can ensure this. Only people can ensure this with their politics and organization. Ekushey would not have been successful without people’s participation. None and no organization had the capability to make the movement successful without people’s participation. Ekushey’s spirit, thus, stands for people’s participation. Whatever is there obstructing people’s participation, whether it is capital’s force or force of political confusion and political unawareness, stands against the spirit of Ekushey. This article with a modified heading was originally published by New Age, Dhaka, on February 21, 2017 in its special issue on the Baanglaa language movement in 1952 in Bangladesh. Farooque Chowdhury is a Dhaka-based free lancer.